meat and food preparation plants. and exceed your product, work environment, sanitation and safety requirements. and services that can better meet market requirements on sanitation and cleanness. Our products passed the MIT Smile Product Certification System and ISO 9001:2015 certification. take place in Taiwan and our fabric materials procured are made in Taiwan as well. we offer professional aprons that are water proof, wear resistant and heat resistant. each apron from our facility is uniquely designed by our RD team. effectively extend the product life and enhance their durability. Yunzin is a professional sanitary hat and safety cap supplier. are comfortable to wear, breathable, elastic and lightweight after a long period of wear. Type: Sanitary Mesh Hat, Hood, Two-piece Sanitary Hat with Tightening Straps. within the workwear, offer special protection to the wearer and extremely lightweight to wear. Disposable Workwear for guests, Raincoat. •Yunzin Sanitary Implements Co., Ltd. does not have any distributors or agents. For all your purchasing needs and inquires, please contact us directly. 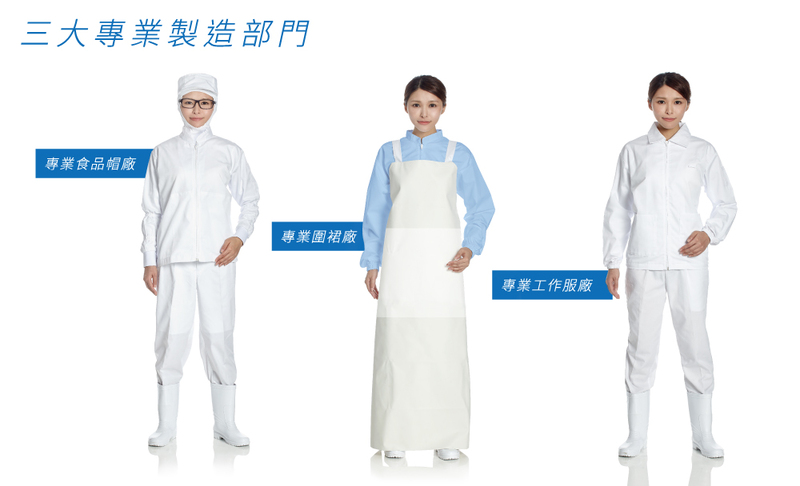 •All our apron, sanitary hat and safety cap and workwear products are exclusively developed by us, and we hold patents for all our products. All similar products in the market are counterfeit products and their quality, functionality and materials are not guaranteed. For all our corporate and individual customers, please avoid those products. •All behaviors involved in product infringement and production of counterfeit products are illegal and may result in legal actions. To avoid unnecessary disputes, please be respectful to yourself.